Prototype: German Federal Railroad (DB) type SSym 46 heavy-duty flat car. Six-axle design with a flat load surface and a load of steel round shapes. 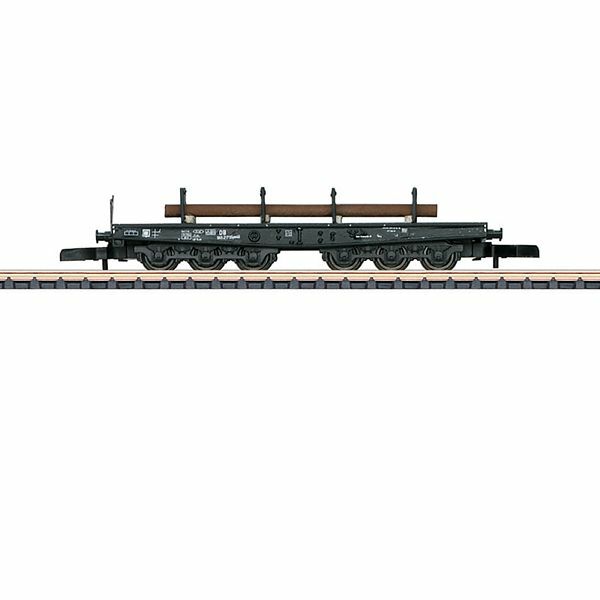 Model: The flat car has a metal body with stakes that can be installed on it. It is loaded with round shapes on a load frame. Length over the buffers 60 mm / 2-3/8".